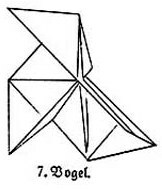 This page attempts to record what is known about the origin and history of the traditional origami design known as the Pajarita in Spain, the Cocotte in France, the Hobby Horse in England and the Krähe (or Crow) in Germany. For simplicity I will refer to the design by the name Pajarita on this page, even though the evidence I am setting out may come from a country other than Spain. Please contact me if you know any of this information is incorrect or if you have any other important information that should be added. Thank you. Like many other traditional paperfolds the Pajarita is probably much older than the evidence for its existence, though just how much older, is, of course, impossible to say. 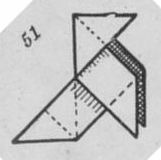 This design is a traditional one in Western Europe but, according to Koshiro Hatori in his article 'History of Origami in the East and the West before Interfusion', published in 'Origami 5: Fifth International Meeting of Origami, Science, Mathematics and Education', was not known in Japan until the kindergarten system became established there. 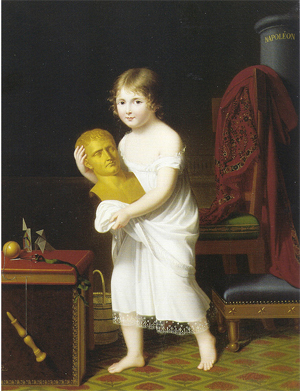 So far as I know the design first appears in the historical record in a painting by Jeanne Elisabeth Chaudet Husson (1767 to 1832) entitled 'Marie-Laetitia Murat portant le buste de Napolean', which can be dated to 1806. The picture also shows the fold and cut Playing Card Monk. In Wilhelm von Kügelgen's book "Jugenderinnerungen eines alten Mannes" (Youth Memoirs of an Old Man), published by Wilhelm Herz Verlag Berlin in 1870, Kügelgen describes how he learned a folding figure (which we now know as the Ross und Reiter or Horse and Rider) from his tutor, the painter Carl Adolf Senff (1785 - 1863) adapted from the traditional Krähe (or Crow) using 'a special trick'. Some of the original designs folded by Carl Adolf Senff still survive in the German National Museum in Nuremberg and can be dated to around 1812. 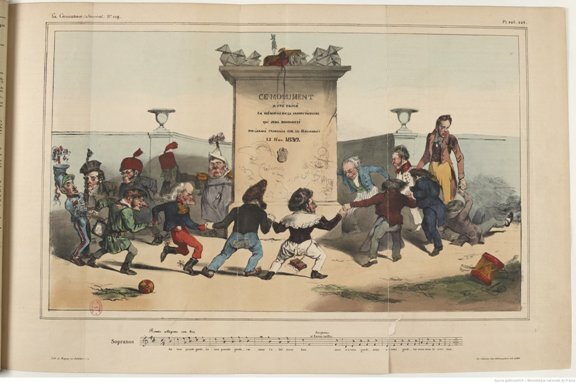 A print published in the French magazine 'La Caricature' no 109 of 6 December 1832 shows six cocottes standing on top of the central monument. My thanks to Juan Gimeno for this information. 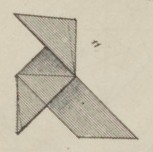 The list of paper folding designs in the 'Manuel Pratique de Jardins D'Enfants de Friedrich Froebel, which was compiled by J F Jacobs and published in Brussells and Paris in 1859, includes a 'L'oiseau'. From its position in the list it can be inferred that this is the Pajarita. 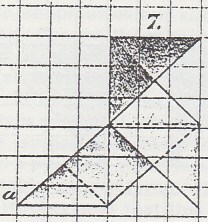 'De Kleine Papierwerkers', written by Elise Van Calcar and published by K H Schadd in Amsterdam in 1863, contains a drawing of 'De sprinkhaan', or 'grasshopper' which the illustration shows to be the Pajarita design. 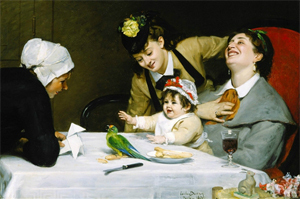 A Pajarita is depicted in the painting 'The Merrymakers' by Carolus Duran of Paris, which is in the collection of the Detroit Institute of Arts and can be dated to 1870. This design also appears, as 'The Bird' in part two of 'The Kindergarten Guide' by Maria Kraus Boelte and John Kraus, which was published in 1881 by E. Steiger and Company in New York. This design is pictured, but not named, in Eleonore Heerwart's 'Course in Paperfolding' was first published in Dutch in 1895 then in English by Charles and Dible in London and Glasgow in 1896. The Pajarita also appears in 'Die Frobelschen Beschaftigungen: Das Falten' by Marie Muller-Wunderlich, which was published by Friedrich Brandstetter in Leipzig in 1900. 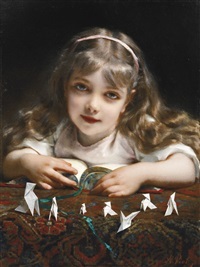 A third painting depicting Pajaritas, by the french painter Étienne-Adolphe Piot (1850-1910), and titled 'A young girl with origami birds' (though that cannot be the original title since the word origami would not have been in use in Europe during his lifetime) appeared in a catalogue for a sale at Sothebys auction house in early 2017. 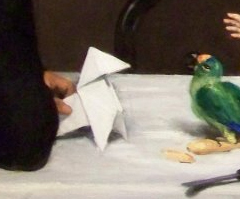 I cannot discover the likely date of this painting. 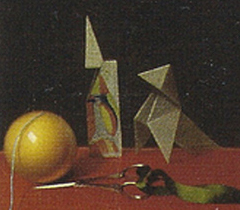 Diagrams for the Pajarita, called the Rooster in this instance, were included in 'Fun with Paperfolding' by Murray and Rigney, first published in 1928.